Ivation has made a really good quality external speaker for any kind of music devices from android smartphones to other manufacturer smartphones and mp3 players. 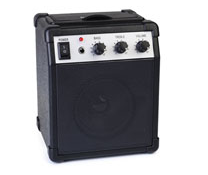 Ivation mini amplifier speaker has got mini guitar amplifier design. 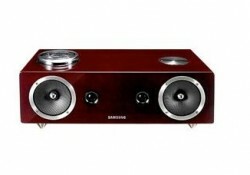 The speaker is able to produce really clear and loud sound. In addition, you get three control buttons on the speaker - volume, treble and bass. 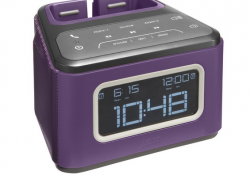 HMDX JAM Zzz android alarm clock dock is one of the best alarm dock you can get for your smartphone. 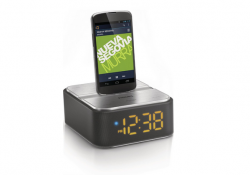 It has got many useful features that makes it a perfect alarm dock for your bedside. 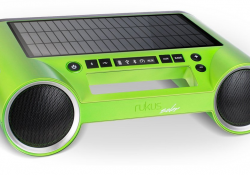 This bluetooth wireless speaker/docking station is unique in the way that it can charge itself with solar energy. It has got built in monocrystal solar panel that chargers Li-ion 1500mA battery. This is one of the best portable speakers for outdoor usage that we have seen. It will work for more than 8 hours with one full charge, and will charge the docking station in about 6 hours, depending on the intensity of the sunlight. 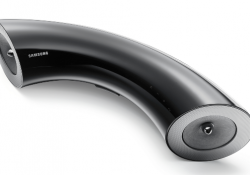 This DA-E651 docking station speaker dock is a real piece of art and just by looking at it you can see that Samsung engineers and designers have worked together to form a real consumer product that looks great but also has great functionality and ease of use. 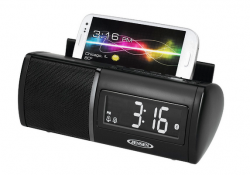 This Greace Gdock is a docking station that is specially designed for Samsungs Galaxy Line smartphones. But because of that ingenious docking mechanism you can also play and charge other android smartphones that fit into the Samsung smartphone compatible phone cradles. 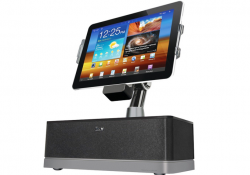 DA-E750 Samsung docking station is the top level docking station for both Android and Apple devices. 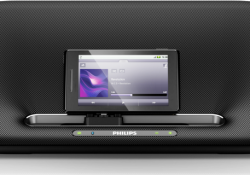 It has the best sound quality, loudness, clearest and most powerful sound of all android docking stations we have reviewed. 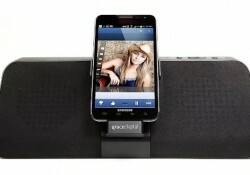 With its classy looks and impressive specs, in our opinion, this is the best android docking station with speakers.